Over the years, KANE has written numerous articles on this important topic. 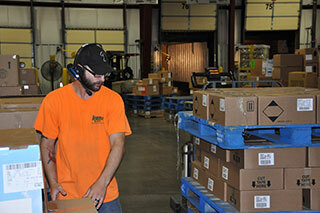 Here are some of the more popular posts on warehouse labor management. Click on the headline to read the full post. Temporary workers are critical resources when trying to economically manage demand peaks and valleys without breaking the bank. But managing temporary associates requires a different approach, as this post explains. Warehouse Labor: What is the Future of Work? This post looks at the future of work in America and the implications of certain trends on managing a logistics workforce. Uber, Starbucks and other companies are cited as examples. This post summarizes the results of KANE-sponsored research with 252 supply chain executives on labor management in the warehouse. Does $7,000 sound like a lot? Well, that could be the low end of costs for losing and replacing an associate. If you could work with a 3PL to reduce staffing costs, but get the same level of control as managing your own staff, would you do it? It’s possible, and transparency is the key. This post looks at various ways leading 3PLs are using to drive transparency on the warehouse floor.